The Urban Area Hearing Examiner is not an employee of the City or County but is independently contracted to provide a special level of review. The Hearing Examiner performs “quasi-judicial” review, which includes making final decisions on certain types of cases or simply making recommendations to the City Council. Specific items that go before the Hearing Examiner include: Class (3) applications, rezones, appeals of land use decisions by the City Administrative Official, interpretations of the zoning ordinance, subdivisions, SEPA (environmental review) appeals, and right-of-way vacations. Was raised on his family’s fruit ranch north of Gleed. After attending Lower Naches Grade School, he graduated from Marquette High School as co-valedictorian with a 3.98 GPA. He then studied at Gonzaga University for 3 years, then attended Gonzaga Law School at night for 4 years while working during the day, graduating third in class. Served as a Law Clerk for the Chief Justice and for pro tempore Justices of the Washington Supreme Court from 1970-1971. Served as Assistant City Attorney for the Yakima Legal Department for the next 3 1/2 years with duties that included advising the City’s Planning Department, drafting land use ordinances relative to zoning, subdivision, environmental and shoreline management laws and defending the City’s land use decisions in Court. 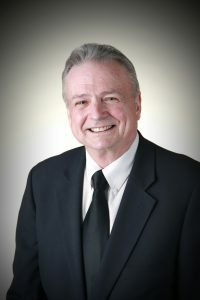 Began serving as Yakima County’s Chief Civil Deputy Prosecuting Attorney in 1975 with duties that included land use functions similar to those performed for the City of Yakima. Joined a private law firm in the Bellingham area in 1978 known as Langabeer, Tull and Cuillier which had offices in Ferndale and Bellingham and from 3 to 7 attorneys over the years. During the following 20 years with that firm, represented numerous private clients regarding land use matters and represented the City of Ferndale on contract as its City Attorney as well as other municipalities on contract in land use matters including the City of Lynden, City of Blaine, Bellingham/Whatcom County Housing Authorities, Ferndale School District and Whatcom County Rural Library District. In 2003 he began serving on contract as the Hearing Examiner for the City of Yakima. Also began serving on contract as the Hearing Examiner for Yakima County in 2003, for the City of Union Gap in 2003, for the City of Toppenish from 2004 until 2009 when he became its City Attorney, for the City of Sunnyside in 2007 and for the City of Grandview in 2007. He also has served on contract as legal counsel for the Yakima Regional Clean Air Agency for several years and has performed limited services on contract for the City of Zillah Civil Service Commission. In addition to serving on contract for these municipalities and agencies, he also continues to maintain his solo general law practice.